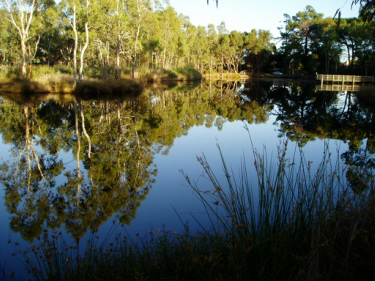 Although it is Man-made, the Urrbrae Wetland has been designed to function as a water retention basin whilst having the benefits of natural wetland characteristics. The water flow is slowed down causing the sand and sediments to fall to the bottom, this is called sedimentation. Heavy metals, salts and bacteria are removed as they "stick' onto the falling particles, this is called flocculation. Reeds, sedges and other native plants that make up the riparian zone, filter out a lot the of salts and heavy metals. The wetland has been planted with may different species of local plants, providing a home for numerous species of birds, reptiles, amphibians and macroinvertebrates. The Urrbrae Wetland offers authentic and engaging learning opportunities for every age group in any learning area. 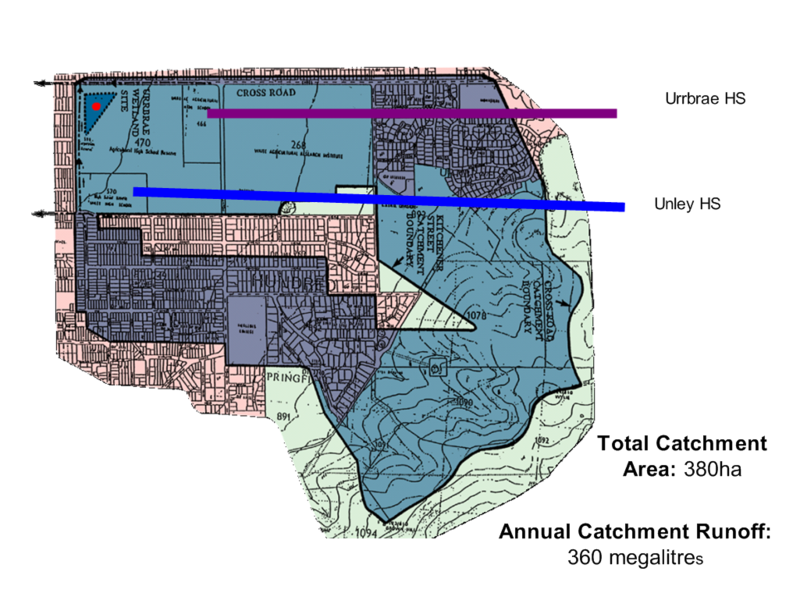 While the wetland only covers an area of approximately 6 hectares, its catchment area is around 380 hectares (see below). That means that any drop of water, which falls in this catchment area could potentially end up in the wetland, along with many different pollutants. Prior to the establishment of the Urrbrae Wetlands the water and its pollutants flooded local areas, before flowing into the Brown Creek Catchment, the Patawolunga then out into the Gulf of St Vincent. However the wetlands stops much of the pollutants from continuing their journey, through a number of different methods including sedimentation, filtering, nutrient up-take, organic oxidisation and UV sterilization.